Bolted joints are just as critical as welded joints. Compare the skill requirements of a welder and that of a mechanical technician who has assembled and tightened any bolted flange connection. “Legislation recognises that skill levels have to be compatible, and there has to be a clear audit trail of competence”. Since 2011 we have successfully delivered bespoke training courses to various organisations that help to prove competency in the making of bolted flanged connections to a recognised standard. 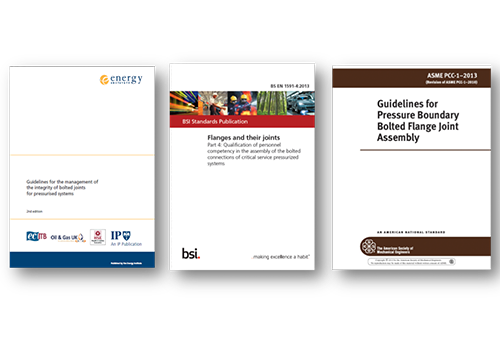 We now also deliver training to BSEN1591 standards and ASME-PCC-1 and Energy Institute Guidance. As of September 2019 we will be delivering ECITB approved training such as MJI10.